Our forum members are notorious for their love/hate relationship with Bella Hadid. Whether she’s receiving a well-deserved cover of Harper’s Bazaar, fronting the cover of Vogue for what feels like the hundredth time, or starring in a “trashy” advertising campaign for Giuseppe Zanotti, members of our forum are always quick to share their opinion. Bella’s latest, however, seems to have won over even the haters. 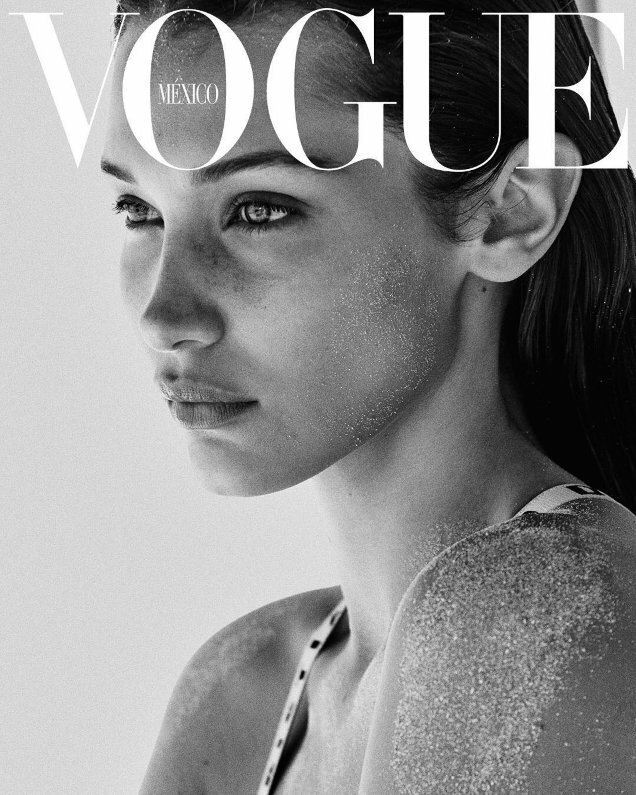 As documented across the model’s social media feeds (and our forums), the 21-year-old beauty took a trip to Mexico last month with photographer Chris Colls, which resulted in a spectacular array of sun-soaked covers for Mexican Vogue’s July 2018 issue. To say the covers were gorgeous would be an understatement. “Before all the ‘I’m so sick of her! !’ comments start, let me just say that this is an unequivocally beautiful image and cover. I can’t get over her face here – she’s just so gorgeous,” happycanadian immediately wrote. “She does one thing, but she does it well. I’d probably define that ‘one thing’ as ‘looking like an exquisitely carved statue’, and it works for print,” stated tigerrouge. “This is gorgeous,” admired Elite13. “WHOA, Vogue Mexico is doing miracles lately,” pointed out IndigoHomme. “I’d never thought that I could write Bella Hadid and decent in the same sentence. Wow!” admitted a shellshocked helmutnotdead. “Few times a year she hits the jackpot. This is one of them,” dodencebt raved. RanThe couldn’t have agreed more. “All these covers are EXTREMELY breathtakingly beautiful. My favorite Vogue cover of Bella’s – just behind her Vogue Italia September 2016 cover. Chris Colls did a wonderful job,” he applauded. “She’s breathtakingly beautiful. She always is,” said mepps. “This is absolutely stunning. Probably her best cover so far!” proclaimed [Piece Of Me]. Are you as in love with the covers as we are? Sound off and await the accompanying cover story here.